It’s been more than a decade Apple introduced its first ever iPhone. The company went to a great extent to keep the device a secret and prevent it from leaking. Internally, the device was referred to as the “M68” and “Purple 2”. Now, The Verge has published photos of the iPhone M68 prototype which featured all the components put together on the original iPhone. 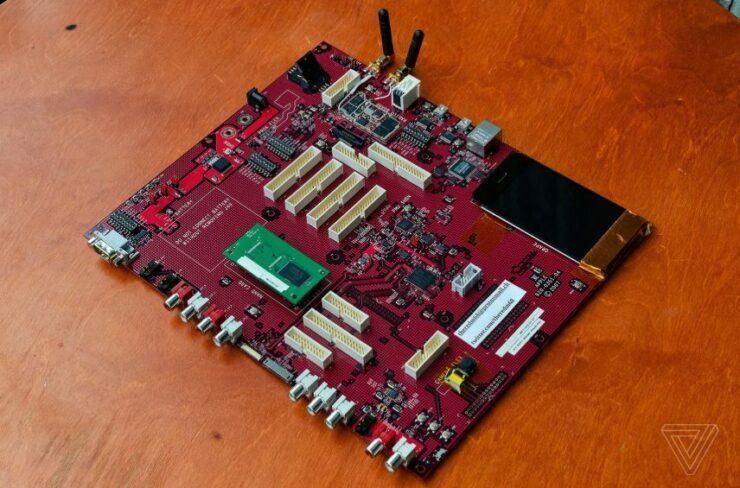 The prototype looks like a conventional PC motherboard. Nonetheless, let’s get down to see some more details on the matter. 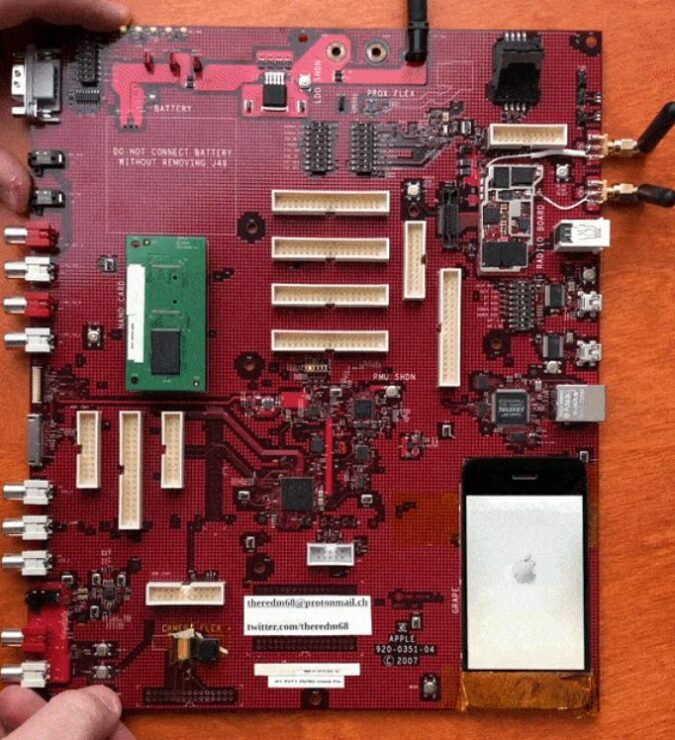 As can be seen in the images provided, Apple manufactured special prototype development boards. The unit features a red PCB as Apple intended it for the prototype. The production units, on the other hand, had a blue or green colored PCB. The board you see in the images was designed for the engineering validation test (EVT) sample and was used by engineers working on the modem and software of the device. The most intriguing aspect is that even the engineers working on the iPhone were oblivious of the final design. The original ‘iPhone M68’ prototype was equipped with everything that a developer can ask for. On the prototype, you will find a serial connector which can be used to test accessories for the iPod. Apart from this, the original iPhone M68 prototype dual mini USB ports used by engineers to access the radio and Samsung AP. While the prototype was also equipped with a SIM card slot, Apple had incorporated an RJ11 port for developers which they can use to connect a landline in order to test voice calls. In addition, the 4GB NAND from Samsung was put together with the processor. The NAND module was removable which allowed engineers to test different variants of the operating system. As can be seen in the images, this particular prototype also sported a display. The prototypes without a display featured RCA connectors and component video on the board which allowed engineers to connect an external display. Low-level debugging was done through the JTAG connectors and white connectors. Seeing the prototype, it looks like Apple really wanted to keep the original iPhone a secret. Another interesting aspect of the prototype is that upon connecting it to iTunes, it is detected as iPhone. It’s quite intriguing to note that the PCB was shrunk to fit in the iPhone. There will be more to the story, so be sure to stay tuned in. This is all for now, folks. What are your thoughts on the matter? Let us know in the comments.